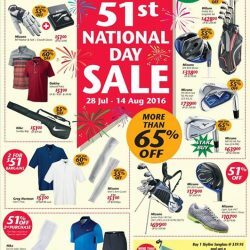 The Great Golf Sale is happening at Golf House from now till 24 July 2016! 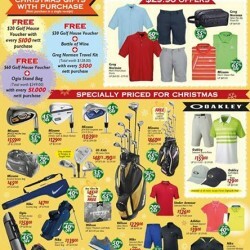 Enjoy great savings of More Than 85% Off* golf merchandise! 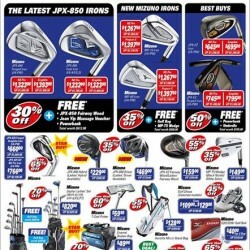 Bring your old iron set and get an additional $100 off Mizuno iron set (for selected models only). Terms & conditions apply. 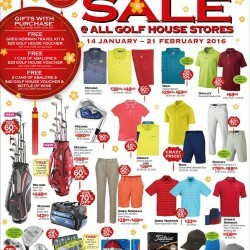 Celebrate great golf house bargains this Chinese New Year with up to 70% off! To make it an even sweeter occasion, they are giving away vouchers and cans of abalone. Promotion lasts till 21 February 2016. 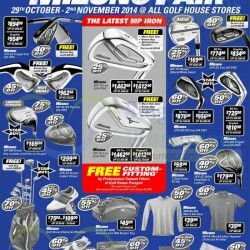 Head down to your nearest Golf House store today. 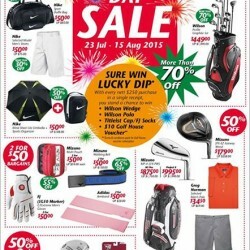 Celebrate great Golf House bargains this Chinese New Year with up to 70% off! To make it an even sweeter occasion, they’re giving away vouchers and cans of abalone. Promotion lasts till 21 February 2016. 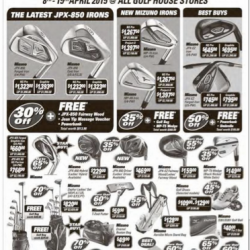 Head down to your nearest Golf House store today! 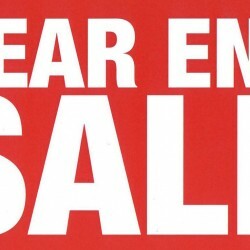 The biggest sale of the year! Find a gift for everyone on your list this Christmas at Golf House. From 12 Nov - 3 Jan 2016. Specially priced for Christmas. SG50 treats you to help you ring in The National Day with true style and comfort! @ Golf House. Valid until 15th August 2015. 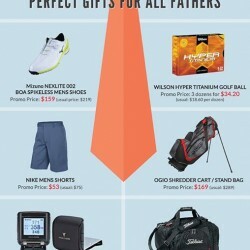 Enjoy and get the best deal for the Father's Day Promotion only at Golf House so hurry come and visit us for more great deals today! 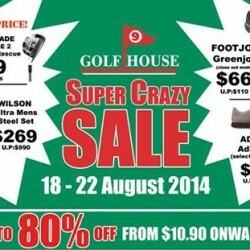 The GOLF HOUSE GREAT SINGAPORE SALE you’ve been waiting for is back! Featuring great buys from S$13.90. Grab yourself a bargain today. 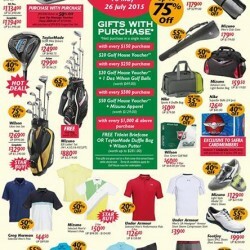 Enjoy and have fun of this biggest discount Up to 75% Off GSS Golf Specials. 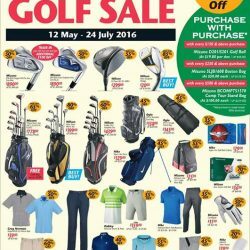 Amazing bargains up to 70% off await you this Mizuno Fair at Golf House, Free $20 Golf House Voucher and custom-fitting too. Now till 15 April 2015. 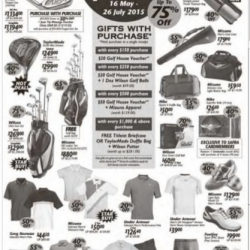 Get up to 70% off Mizuno Fair at All Golf House Stores from 8 to 15 April 2015. 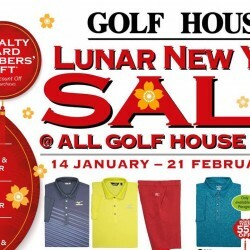 Welcome the Year of the Sheep with Golf House! Check out the great hot deals in stores now & stand to win attractive prizes from our Sure-Win Festive Lucky Dip. 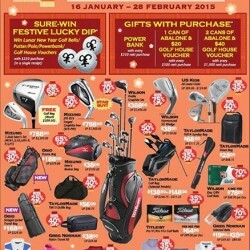 Find all you need for your golf game at the Golf House Warehouse Sale @ Wisma Gulab, from 18 Aug (Monday) till 22 Aug (Friday).